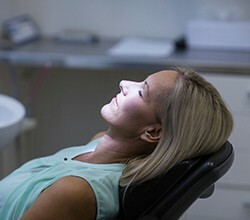 Thanks to the ever-advancing field of dental technology, dentists are now able to address an even wider array of health problems more effectively. Now, Dr. Bruno and her team can give you a beautiful smile as well as relieve chronic jaw pain, treat sleep apnea and even help you get rid of your dental fear. We work hard to stay on top of the latest advancements in dentistry for the sake of our patients! To explore our special services and state-of-the-art technology, read on below. Don’t hesitate to contact us here in Austin, TX if you’d like to set up an appointment. At Bruno Integrative Dentistry, we perform a thorough evaluation of your mouth by looking at all parts of your soft tissues and hard tissues. If we see signs that you may be suffering from sleep disordered breathing, we will discuss it with you along with the options available to help alleviate this problem. Let’s be honest…..who can really say they enjoy going to the dentist? Not many of us. There are some people who have a lot of fear and anxiety about going to the dentist. If you are one of these people, rest assured that we will help make sure you are comfortable throughout your visit. We use nitrous oxide (better known as laughing gas) to help our patients relax during their appointments. All our patients have to do is wear a mask that goes on their nose and breathe in a clear, odorless gas. At the end of the treatment, Dr. Bruno will switch the nitrous oxide to just oxygen which almost immediately takes away the effects of the gas. You won’t need anyone to drive you or pick you up because after you are done you will feel just like normal. Isn't that great? 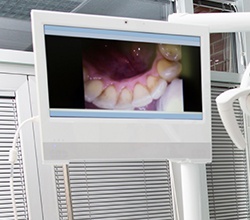 Thanks to our intraoral camera, we can show you inside your mouth and highlight the areas of concern we have. This small camera can be easily maneuvered through your mouth to capture high-resolution images we can then display on a large chairside monitor. These images help us show you exactly what we see in your mouth and explain the different concerns that Dr. Bruno will be talking about with you. In addition, they are a great way to keep track of dental concerns through the years. 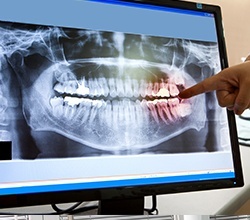 Dental radiographs are a key component to diagnosing problems with the teeth and other oral structures that are not visible to the naked eye. Our use of digital radiography over conventional X-rays gives us improved accuracy when analyzing your results and reduced exposure to radiation.